Incorporated in 1996, we are a full-service, family owned and operated landscaping company. Regardless of size or scope of a landscaping project, we deliver each and every customer with the highest quality customer service. That is our promise to you. Acres of Green is fully licensed and insured and based in Walpole, MA. We serve surrounding areas including Medfield, Norfolk and Wrentham. We provide client-focused services from lawn care and maintenance to complete landscape design and installation. Call us for a spring or fall cleanup including gutter cleaning, regular lawn care and maintenance, design and installation of walkways, patios and fire pits. 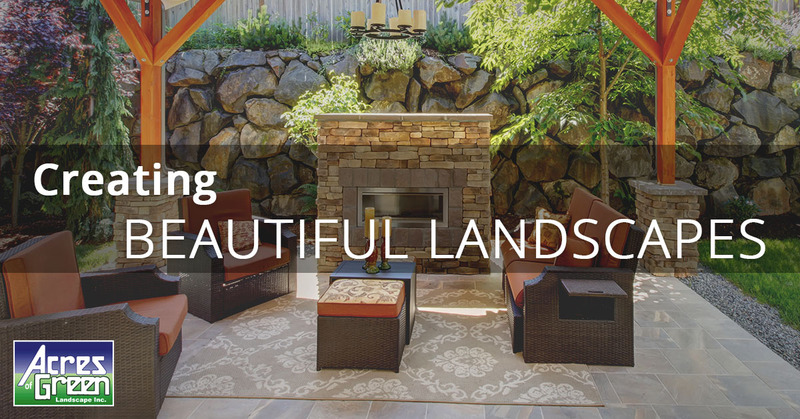 Are you ready to go all-out and renovate your entire outdoor landscape? First, good for you! Second, definitely give us a call. We love this stuff and we would love to help you realize your vision! We start every client relationship the right way by scheduling an on-site appointment to review your property and learn about what you need and want. We’ll take the time to listen and then offer suggestions and will evaluate your environment to make sure all potential barriers to success are noted right up front. We’ll also do our very best to stretch your budget as far as possible to help ensure that you end up with the garden, outdoor entertainment area, patio or lawn of your dreams. We look forward to building a relationship with you and providing beautiful results that will keep you coming back for all your landscaping needs.